Demonic possession is also known as spirit possession. What some people first learned about demonic possession came from the movie The Exorcist. Yet, in spite of the subsequent portrayal of demons possessing humans through an unprecedented number of movies and television shows, few people actually understand this phenomenon. In many religions, demons are evil spirits. In Christianity the belief is that these evil spirits are fallen angels that work among Satan's legions. Like Satan, demons are opposed to God's principles and work to pull humanity away from God in Satan's name. Therefore, in demonic possession, these evil spirits attack humans by overtaking one's consciousness, controlling body and soul. Although pop culture depicts demonic possession as a paranormal phenomenon, it is actually a religious construct. Possession is part of a religious belief system in which a living human host is believed to be taken over by a supernatural being. Beliefs about how this manifests and why it happens vary depending on the culture and religious tradition. 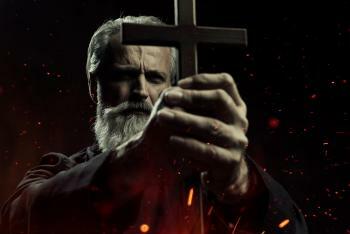 In much of the Western world, the predominate information about possession by demons comes from the Christian church, and particularly the Catholic Church. 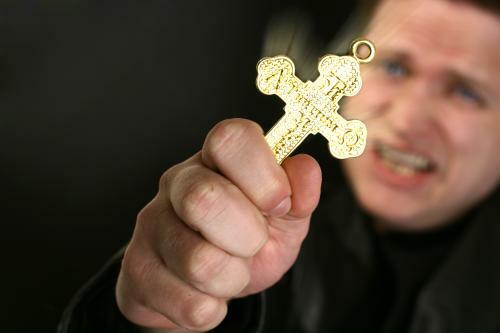 Recent news reports suggest the officials of Catholic Church feel demonic possession is on the rise, and the Church has been training additional priests as exorcists in order to fight what the Church believes is spiritual warfare. While there are documented cases of suspected demonic possession both within and outside of the Catholic Church, there is no proof that possession is, indeed, what has occurred. A number of other potential explanations exist for such cases, including mental illness, neurological problems such as epilepsy, and other physical illnesses. Within the Catholic church, some priests are trained as exorcists who specialize in banishing demons from the places and people they possess. Exorcism is a sacramental service that can only be performed by a trained priest. The cases are held within the strictest confidentiality in order to protect the victims. Outside of the Catholic Church's trained exorcists, there are a number of individuals with different types of training called demonologists. Some, such as Bishop James Long, are part of the Paranormal Clergy, a group of clergy who have been trained in understanding demonic possession and the rite of exorcism. Some may have different types of training, including training through the church. Others may be self-styled demonologists who feel they have learned their craft through experience. There are also those who have likely bestowed the title on themselves because they think it sounds interesting or important. When working with someone who has the title of demonologist, it is important to double-check the credentials that allow use of this title. Many other cultures and religions also have demonic possession mythology. 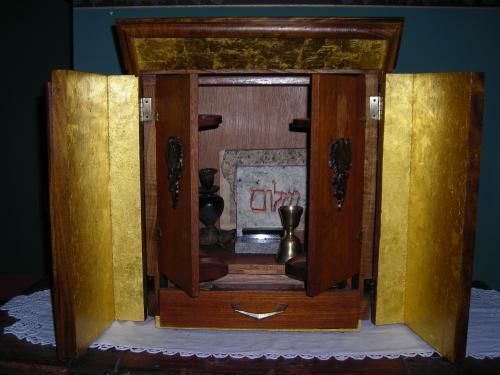 The Dybbuk Box, which is an antique wine cabinet, has gone through multiple owners, and each has described odd circumstances when they are in possession of the wine cabinet such as burning red eyes, insect infestations, and terrible luck. The current owner, Jason Haxton, wrote a book about the Dybbuk Box in which he describes his experiences with the wine cabinet, as well as the research in which he engaged. According to Haxton, his research revealed that a group of women bound an evil spirit to the wine cabinet. Haxton has the box contained in an acacia wood arc lined with gold, which helps to contain its energy. In the Hindu religion, there are several classifications of demons and evil spirits, including Asuras, Vetalas, and Pishachas. Additionally, people with bad karma in one lifetime may be relegated to roaming as evil spirits in punishment for such karma. Vetalas are evil spirits that inhabit corpses but not the living. Pishachas are flesh-eating demons. Exorcisms may be performed to remove these evil spirits, using sacred water, burning incense, and similar ceremonial rituals. In Islam, evil spirits called Jinn (also known as Djinn or Genies) may possess humans, controlling their actions and behaviors. Humans can also be damaged by witchcraft or black magic. 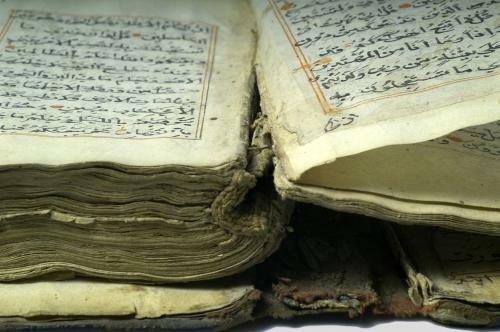 To help repair possession and damage, a ruqyah is performed. Ruqyah is essentially an Islamic form of exorcism. 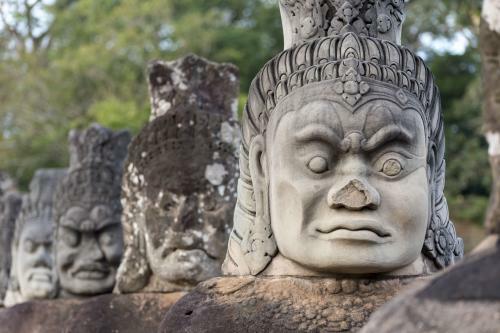 In shamanic cultures, possession by evil spirits may occur. These spirits use the host body, which can weaken the host and make him physically, emotionally, or mentally ill. 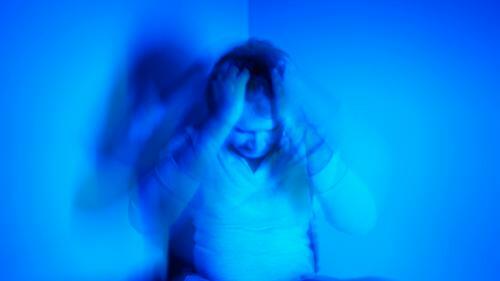 These illnesses may include addictions to drugs and alcohol, as well as behavioral changes. Shamans may perform rituals such as soul retrieval and spirit extraction to help people who have been possessed. An individual may be spiritually weakened due to negativity in life circumstances, making it easier for a demon to enter. An individual could consciously invite a demon to possess him. A person may unconsciously invite demonic possession by engaging in occult type activities (called malficia) such as using a Ouija Board or performing a seance. It is important to note that none of these are proven causes of demonic possession, but merely theories people hold about why a possession may occur. 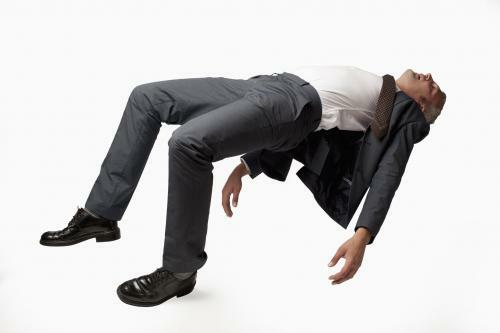 Physical changes in posture and strength of the victim. For example, a victim may twist his body into very unusual postures, speak in a voice that is not his own, and may become supernaturally strong. Personality changes in the victim, such as flying into unprovoked rages, speaking in tongues, or attacking others. Extreme distaste of things associated with religion such as intolerance of any religious artifacts or symbols, or antipathy towards the mention of God, Jesus, or any scripture. Atmospheric changes in the vicinity of the victim, such an unexplainable chill. Many people contact paranormal investigators to help them with demonic possession, but if it is a true possession it is not something that can be resolved through paranormal investigation. If you truly suspect demonic possession, it is important to contact trained members of the clergy or trained demonologists who know how to deal with this type of activity. Document all of the activity as simply and honestly as you can. Seek help as soon as you are aware there is a problem. Have the potential victim undergo a complete mental and physical examination to rule out illnesses that may be causing the activity. Talk with a member of clergy from your church, providing the documentation of any incidents. Seek help from someone with legitimate training in demonology and rites of exorcism. Ask at your church, or inquire at your local New Age store for referrals. While there is no proof that any of the following people were actually possessed by demons, possession was strongly suspected. Michel's story was told in the movie The Exorcism of Emily Rose. Michel was a 16-year-old female with a history of epilepsy. She had also been treated for mental illness in psychiatric hospitals. In 1973, her family began to suspect demonic possession when she became visibly upset by religious artifacts, started drinking her own urine, and grew suicidal. Within ten months, Michel was subject to nearly 70 different exorcisms, all to no avail. She died in 1974. A household servant in Massachusetts in the 1600s, Elizabeth Knapp was said to have been possessed by demons. As a young woman, Knapp began having "fits" in which she would call out words such as "sin and misery," or "money money money." Knapp claimed the devil had appeared to her and offered to make her a witch. As her condition worsened, Knapp frightened observers with her spasms into unusual postures and strange vocalizations. She claimed she had made a pact with the Devil, and that he controlled her body. Anna Ecklund was a young girl who lived in Iowa around the turn of the 20th Century. She showed her first signs of demonic possession at the age of 14. Her aunt, a witchcraft practitioner, and her father attempted to curse her by putting herbs in her food, which led to Ecklund's inability to tolerate religious articles and unwillingness to enter a church. Ecklund's first exorcism occurred in 1912 and was considered a success. However, her aunt and father appealed to Satan to make her continue to suffer, and her symptoms started again. After being placed in a convent, Ecklund began speaking in tongues and throwing food that had been blessed on the floor. She also entered into unusual physical postures and spoke in strange voices. Ecklund underwent three more rites of exorcism before clergy said she was free of the demons that had possessed her. While the idea of demonic possession is extremely frightening, the average person has little to fear. True cases of demonic possession are believed to be quite rare, and there is no proof it is a real phenomenon. Instead, possession is a belief associated with many religions. Although it may be entertaining to snuggle up to a good scary movie about demonic possession, the likelihood of someone experiencing it in his life is negligible.